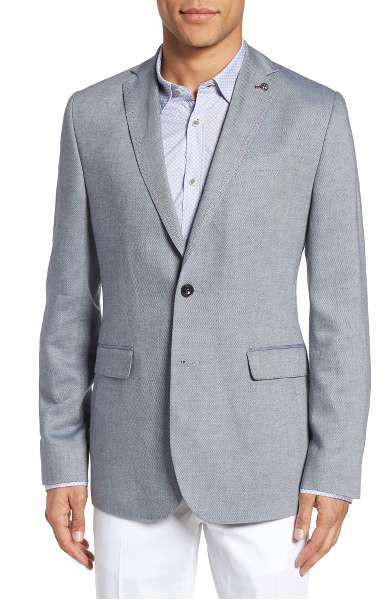 A lightweight blazer is a summer essential for men. It easily can dress up a pair of jeans (or even shorts) and will be a saving grace at more formal events when it is hot outside. 1. Budget: The first thing to do is determine your budgett. If you’re after that one piece that you’ll make the most out of, then it’s a good idea to invest a bit more. You’ll be able to use it all summer, every summer for years to come. 2. Fabrication: While linen is a great summer fabric, always remember that it will wrinkle almost instantly. 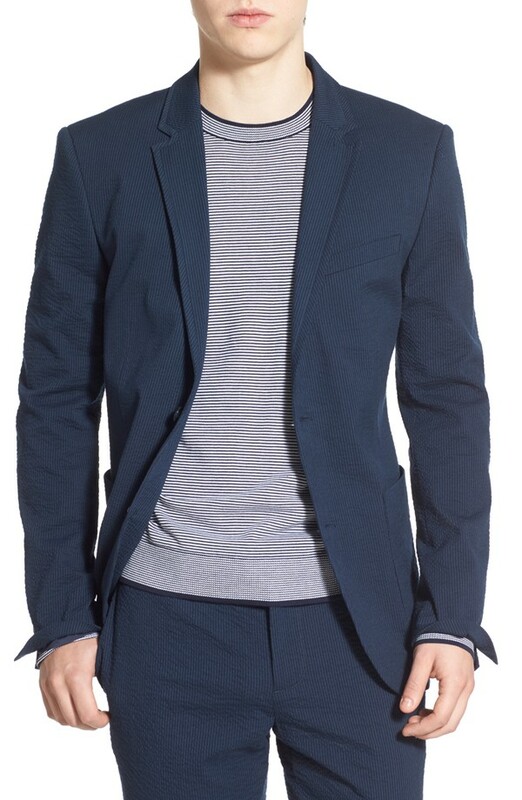 So if you want to stay crisp all day, opt for a cotton/linen blend or 100% cotton fabrication. Posted on June 16, 2017 by Megan Zatko and filed under Style Stories, Menswear and tagged Ted Baker J.Crew Ludlow Blazer Brooks Brothers Blazer Sportcoat.